So close dm3 but what happened on dm2? Better luck next game DC! well dm2 was played yesterday but dm3 about one week ago. On dm2 games was close to about 100 frags then fu lock us on low and that was over. 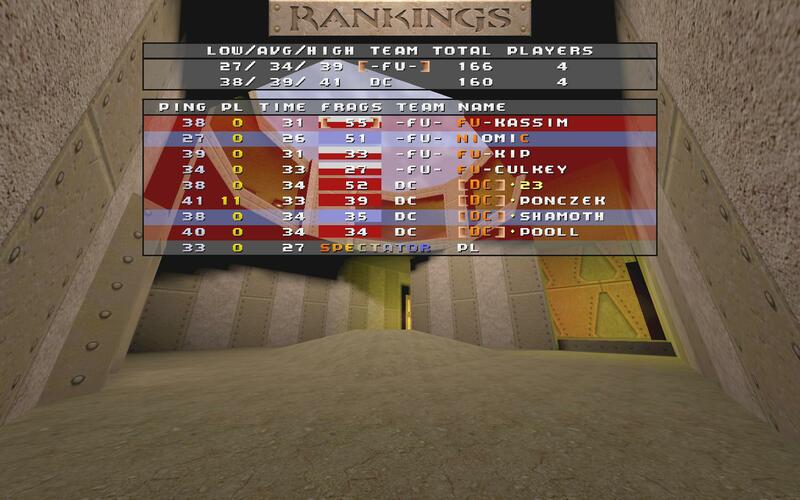 Dm3 was a very bizarre game - we led in almost every statistic (apart from frag count :E - too bad that the report is not complete on this) - destite that the game was very tight. We regained control 2 mins before the end. FU stasted slownspawning and we were short of time. Dm2 was completely wrong - we played like pussies and couldn't synchronize our attacks when FU had control. Congrats to FU for well played games and GL. We were really surprised to win dm3, it really hasn't been our strongest map. 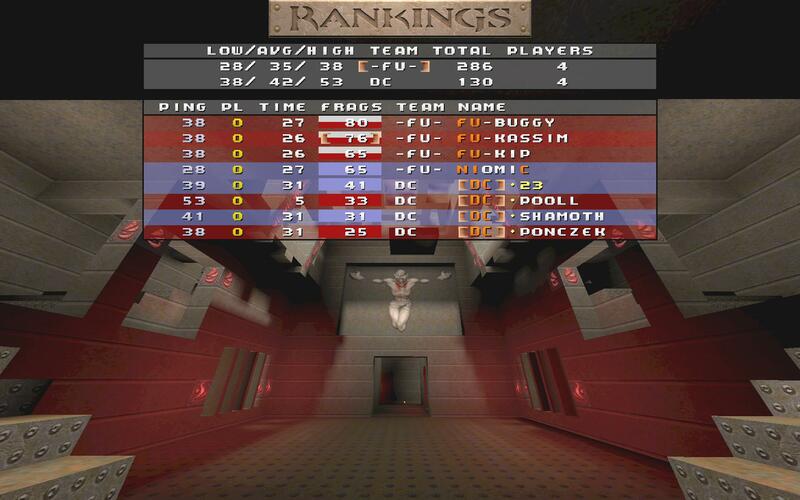 I was a bit nervous before the dm2 game because I had just seen that DC had done well against Sauna on dm2 in prac. Somehow our game just clicked and we were able to shut them out. Still, in light of the stats, there certainly seems to be a lot of room for improvement with DC managing to get NINE quads in that game. I wasn't playing that well in either round, possibly due to ever increasing tweaking of gear and settings, but fortunately the other munas took care of business!